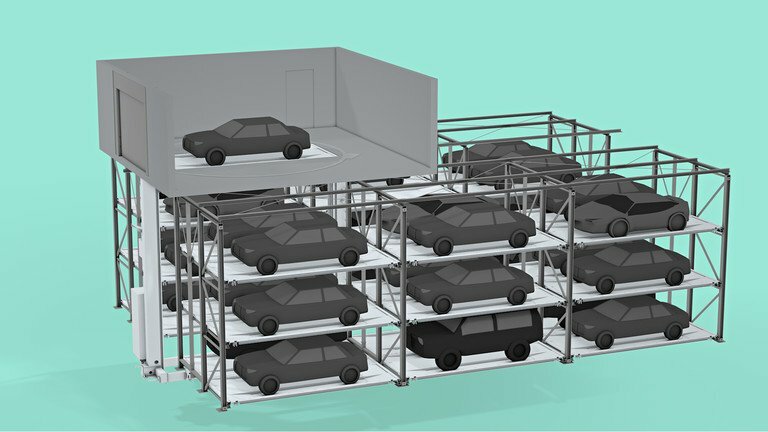 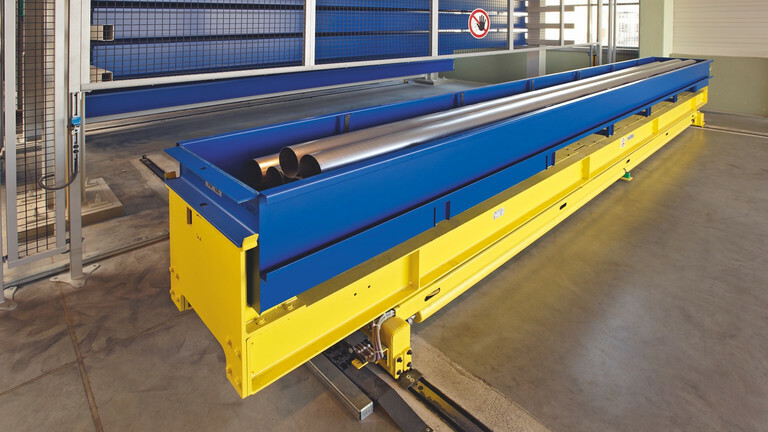 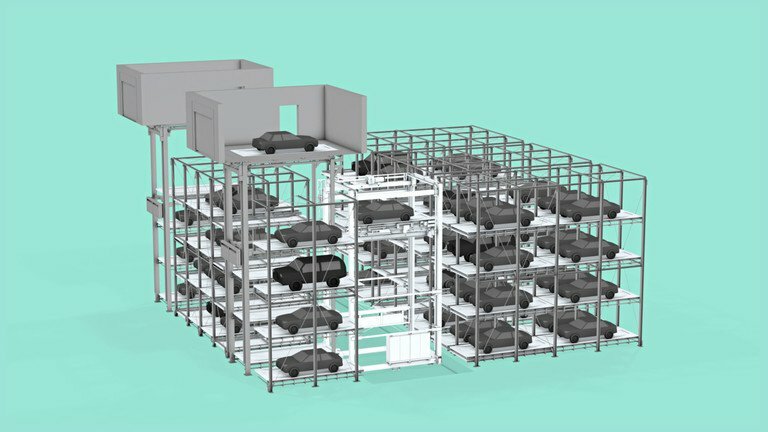 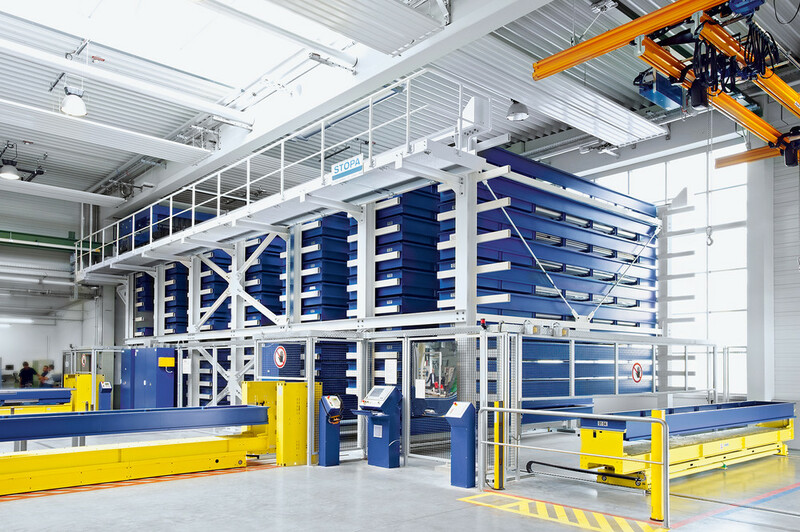 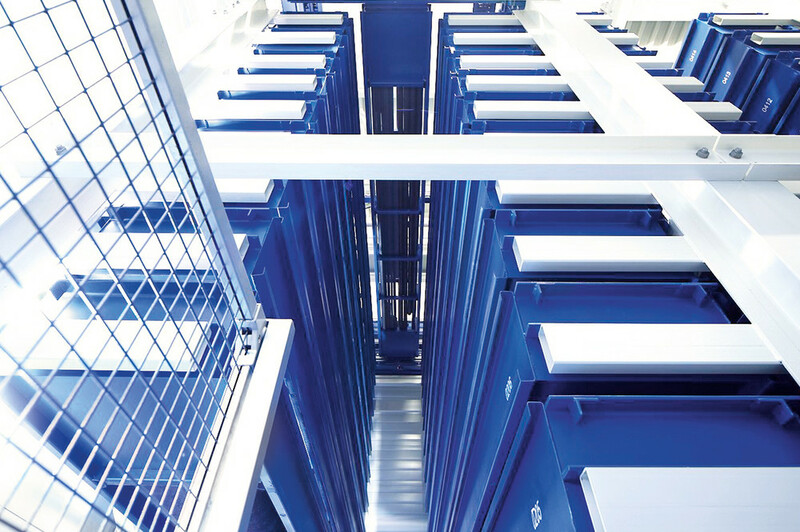 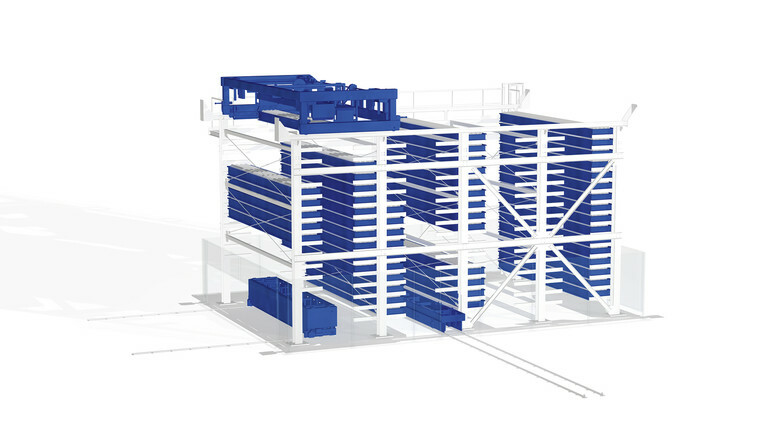 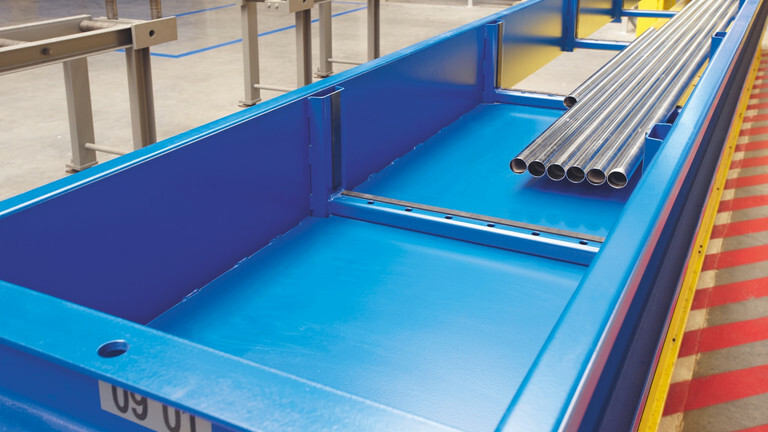 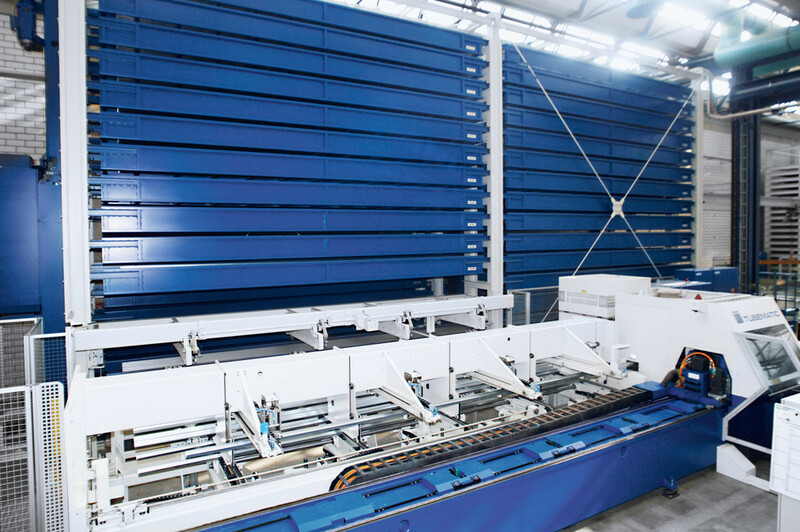 Saving time by optimizing the flow of material – that is the decisive factor for the economic shelving, storage, and retrieval of long-span goods. 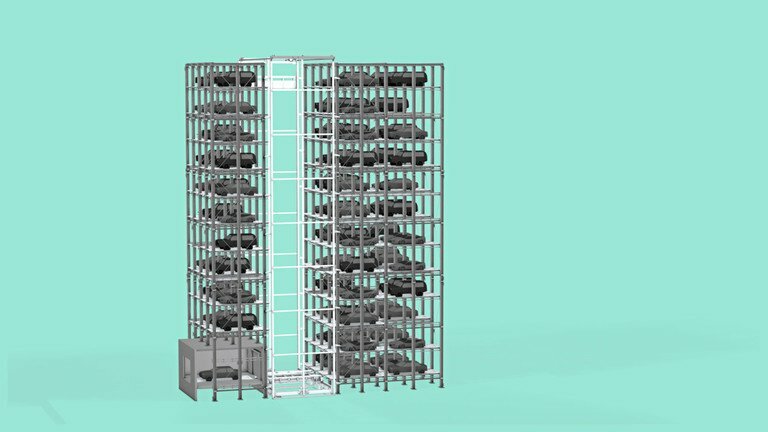 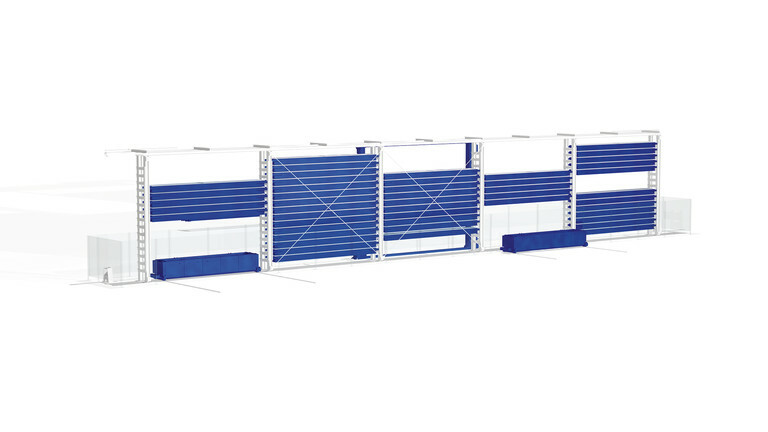 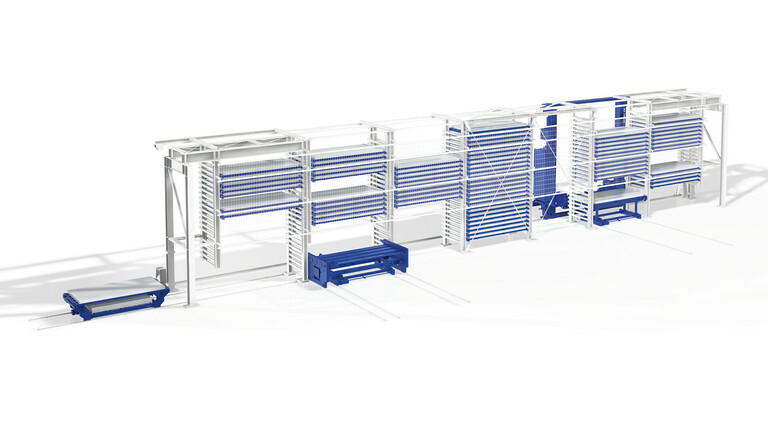 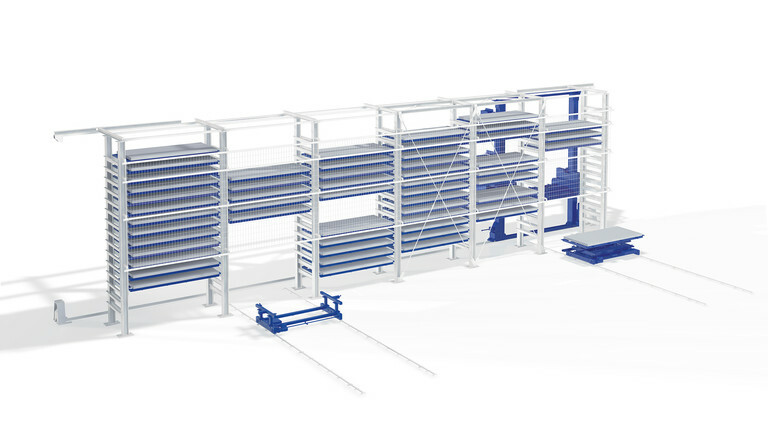 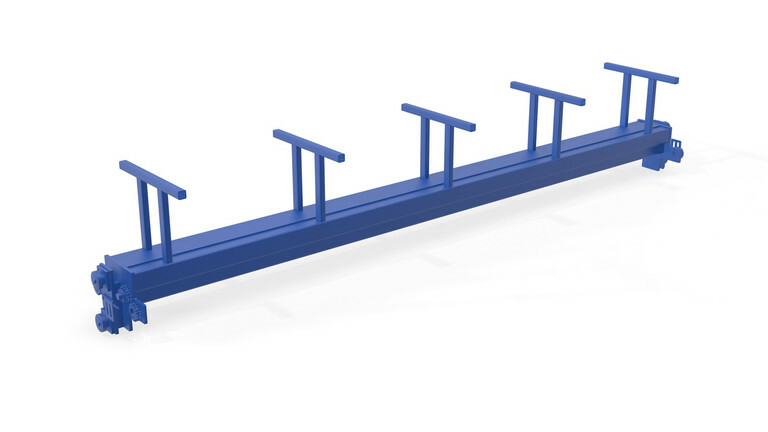 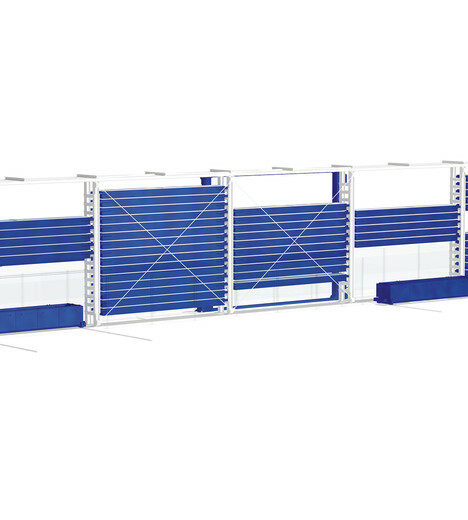 The LG-U Universal Shelving System for Long-Span Goods offers numerous features and specifications for the long-term improvement of your intralogistic processes. 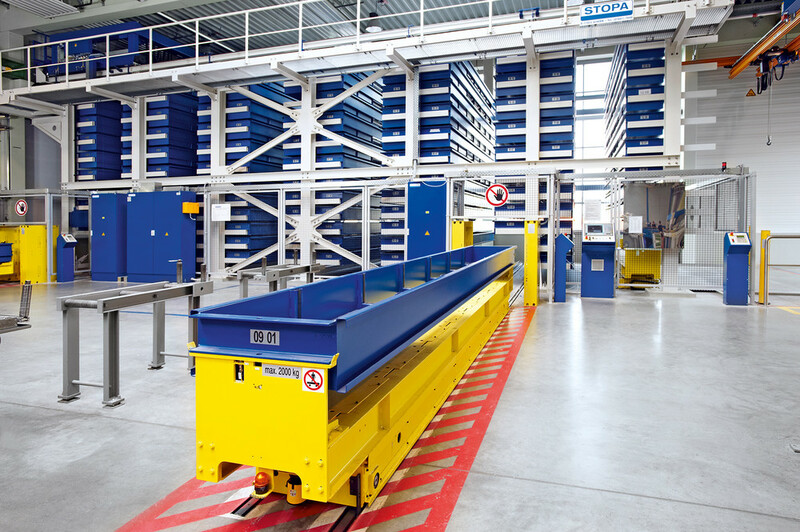 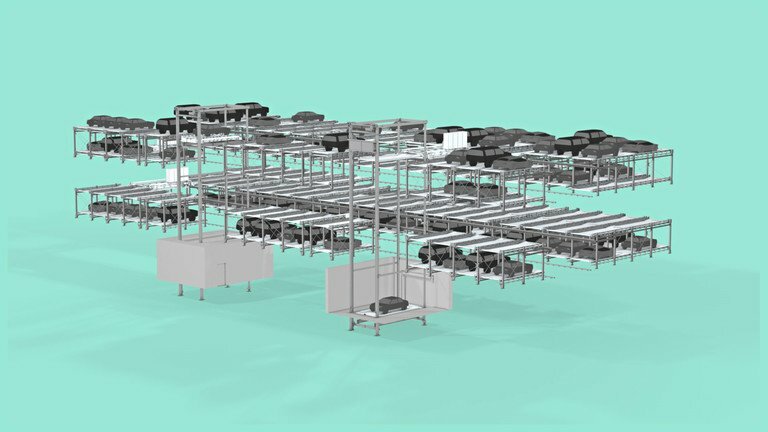 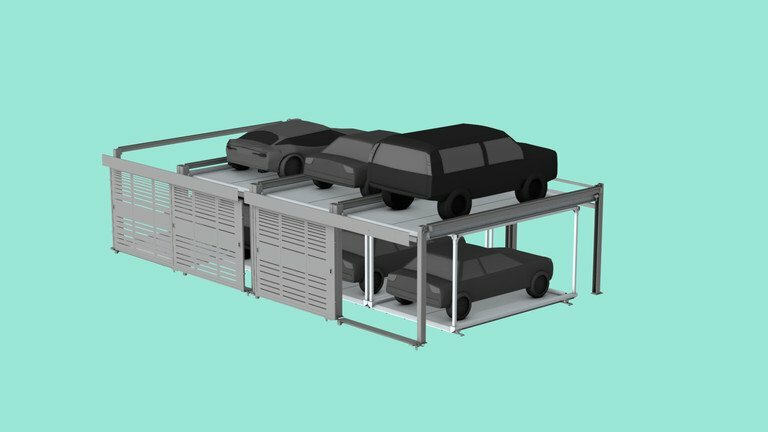 Besides the significant expansion of storage capacity, in particular sequences and processes for the storage of long-span goods are optimized. 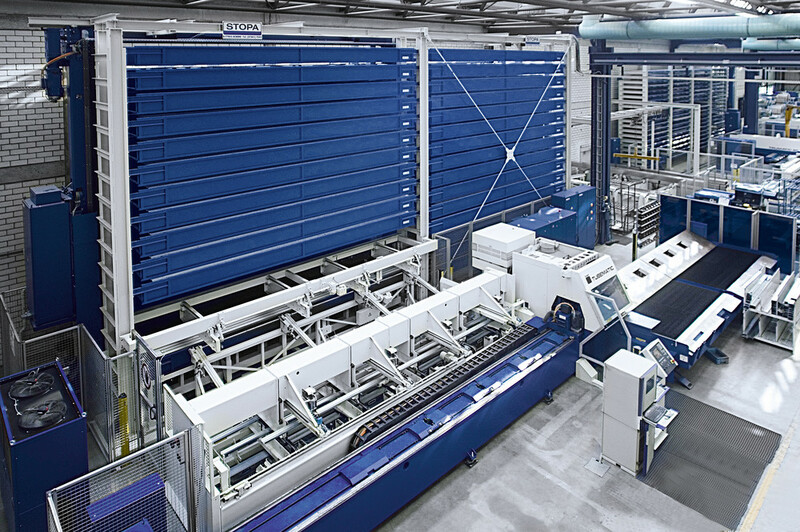 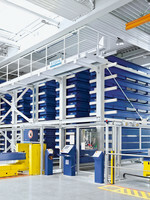 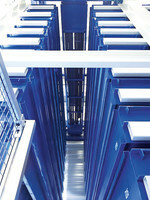 For optimized material flow, a large number of stations are possible. 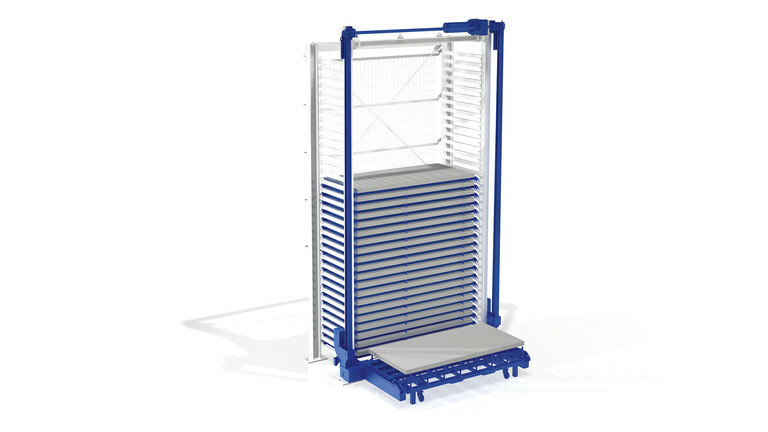 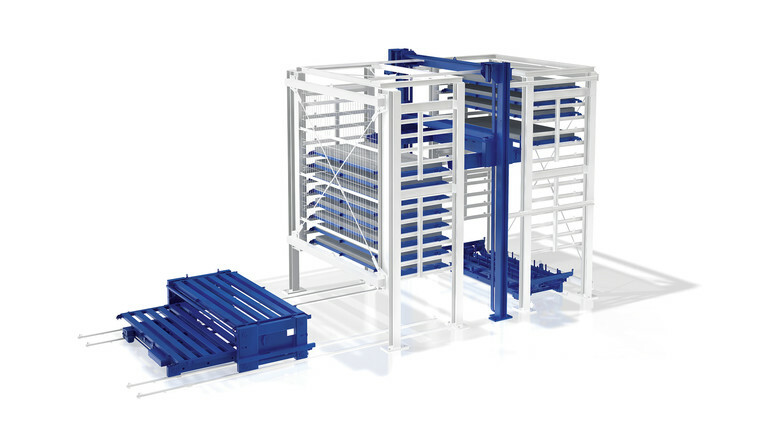 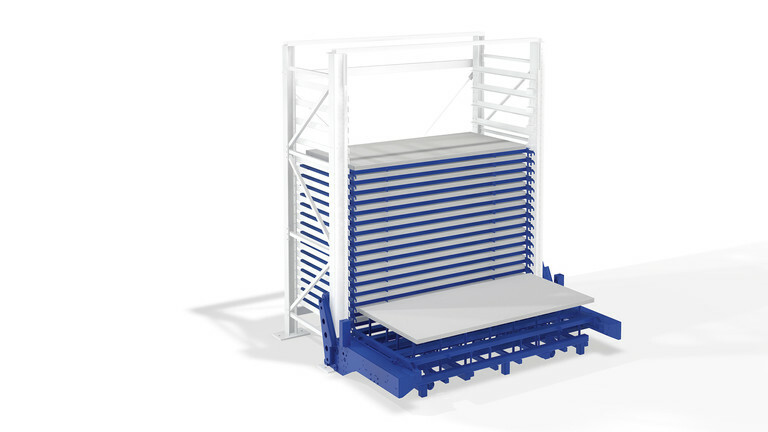 A longitudinally driven Storage and Retrieval Unit with telescopic forks capable of being extended on both sides take care of handling. 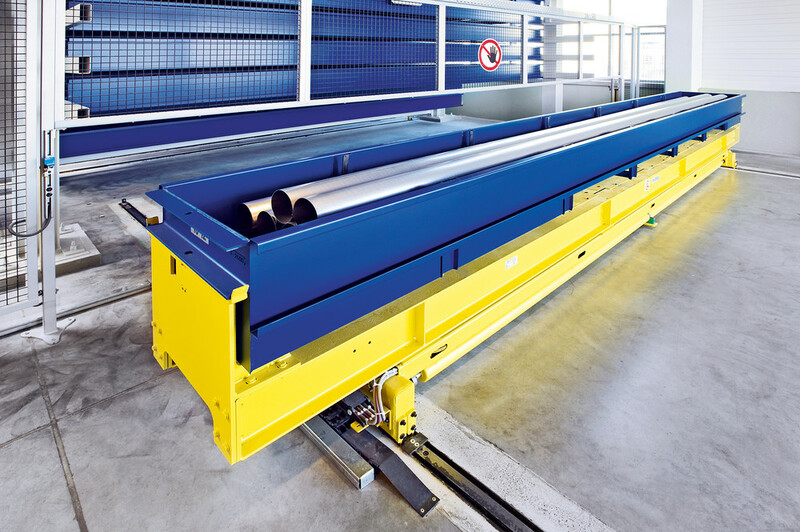 Automatic control is standard. 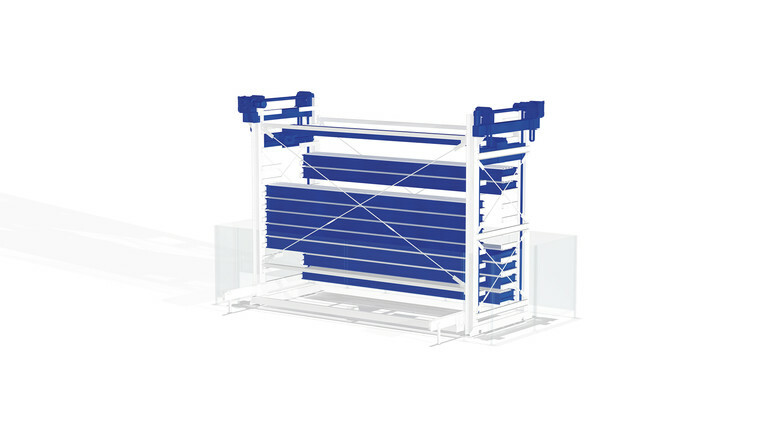 It is also possible to retrofit for a double-row solution.